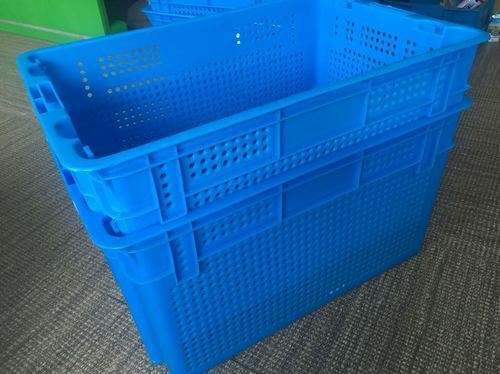 Creating new benchmarks in the industry as one of the leading manufacturers, suppliers and exporters, we are engrossed in offering our clients with a wide range of Plastic Crates. Our offered creates are developed in adherence with the international quality standards utilizing best-grade plastic that is obtained from accredited vendors. Widely used in textile spinning, furnishing, twisting & washing departments, our offered crates van be customized as per the needs of clients. We, A. R. Enterprises, established in the year 1984 are eminent manufacturer, supplier and exporter of Biscuit Making, Bread Making, Biscuit Packing and other Packaging machines. To meet the requirements of clients, we are offering them Biscuit Making Machine, Bread Making Machine and Biscuit Packing Machine. In addition to this, we are also availing Packaging Material, Fully Automatic Packaging Machine and Semi Automatic Packaging Machine. We fabricated them with ultra grade Mild Steel, Stainless Steel and other required raw material. In order to make them comply with the international quality standards, we implemented latest technologies to manufacture these products. All these machines are high in demand for their large production capability, longer service life, convenient installation and low maintenance. Therefore, our product line is widely used in numerous industries like Bakery Industry, Food processing, Retail packaging, Food & beverages industry. We are supported by a highly diligent team of professionals. They possess vast industry experience and are well-versed with the conceptual knowledge. In order to run our business operations in a well organized way, we have incepted an ultra modernized infrastructure. Our infrastructure is well-equipped with all the sophisticated machineries, tools and equipments. It helps us to ensure the machines availed by us to comply with the exact requirements of our clients. We have mustered a huge clientele base owing to the salient features and quality of our products. We are enjoying our strong presence in entire Indian Subcontinent, Caribbean, East/Middle Africa, North Africa, South/West Africa, East Europe, East Asia, North Europe, Middle East and South East Asia.